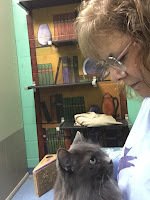 When Livey arrived at Animal Friends more than 2 years ago, she began to earn a reputation. 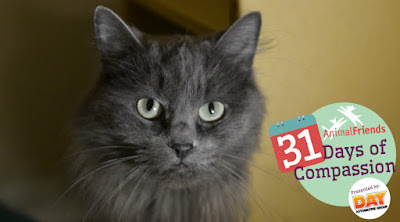 This beautiful cat with gorgeous green eyes and long gray fur was the subject of many rumors: “she is moody,” “she won’t sit on your lap,” “she only likes men,” “she hisses and swats if you try to pet her.” While there was some truth to these stories, Livey wasn’t a bad cat … she was simply misunderstood. In February, Animal Friends began participating in Jackson Galaxy’s Cat Pawsitive initiative which was developed to reduce stress in cats who are overwhelmed by a shelter environment. The program works by associating positive behaviors with a clicking sound followed by a reward such as a treat or affection. But since Livey showed little interested in attention or treats, it was difficult to reward her for friendly interactions. 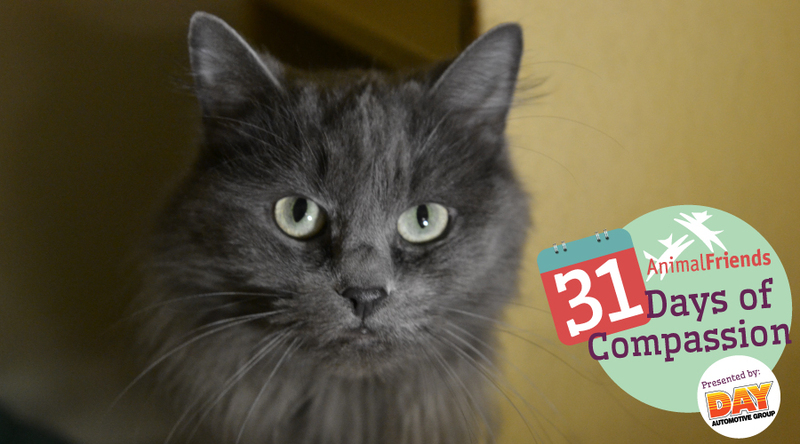 Those who knew her best saw the potential for Livey to grow into a friendly and outgoing cat, she just needed to be given the right opportunity. So, Livey was moved to a small free-roam room where she could seek attention on her own terms. If she chose to interact with guests, she was offered a click and a reward. The choice to interact with people was completely hers. Over time, Livey learned to enjoy being petted, having her ears scratched and even curling up on a lap for a cuddle. Now, the only thing Livey needs is a loving family to call her own. At Animal Friends, every day is full of compassion. Visit ThinkingOutsideTheCage.org/31Days to turn your compassion into action. After all, it only takes one day to change a life.